Last summer Emily's dad, Ernie, came fishing with us and that prompted Emily's mom, Kathy, to come this summer and see what her daughter is up to. 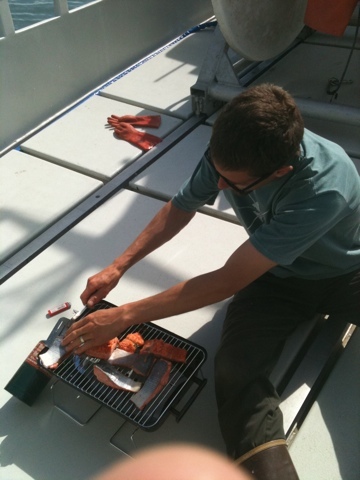 Now that the season has slowed down we had time to enjoy a fresh fish barbecue on the back deck while floating in calm seas. 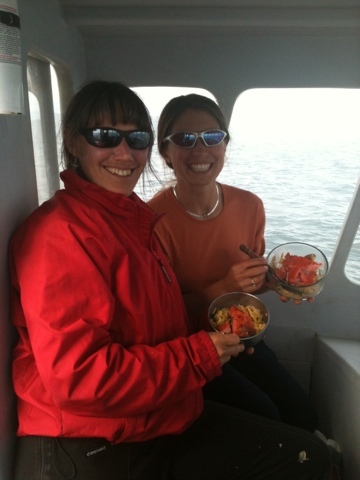 Just as we were ready to eat the radio blared with a fish call and we packed up and headed north, eating while underway. We ended up catching a few hundred fish which is not bad at all considering the season is nearly over. 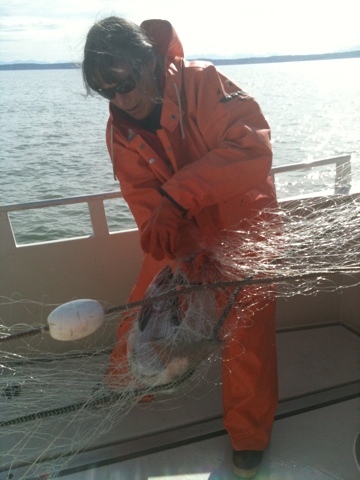 Kathy had the opportunity to find out just how thrilling picking fish can be. 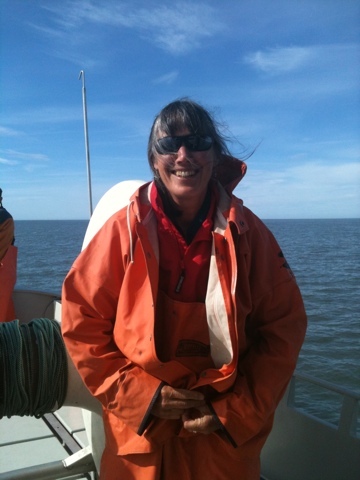 As the tide turned the seas picked up to a three foot chop and by the time we returned back to the river Kathy had experienced all the components of a fun day of fishing. She's not quite ready to sign on as a deckhand for next season but she had fun and now knows what it's all about! We are super psyched that our customers have had the "opportunity for great seafood at an amazing value." Our shipments have arrived in tip top shape and salmon lovers around the country are learning what super high quality wild Alaskan salmon really tastes like. Tee he he… you quoted me! ;) St. Louis LOVES Small Scales Seafood!! !